It’s a daunting task to keep tabs on all the construction in San Francisco’s South of Market neighborhood. Along all of the neighborhoods’ major thoroughfares – South Van Ness, Mission Street, Fremont and Market Street, to name a few – change is coming rapidly. Up until the recession, SoMa was a car-centric neighborhood; auto repair shops, gas stations and car washes were on every corner. These days, though, that is changing. SoMa is shedding its gritty, industrial past, and the neighborhood is evolving into a dense, high-tech, and, surprisingly, more residential corner of the city. Just look at the number of SoMa automotive businesses – one of the most common types of businesses here – that are set to be replaced with condos and office buildings. There are nearly a dozen or so projects like that in the works, including a transformation of the Chevron station at Howard and 9th. Plus, major redevelopment projects like the Transbay Terminal and Rincon Hill infill are completely changing car-friendly neighborhood. Compared to other areas in San Francisco, the scale and the pace of transformation in SoMa is unparalleled. Here, there are so many opportunities for infill and for higher density projects than anywhere in the city, and San Francisco’s Planning Department has noticed. The city has already streamlined massive redevelopments like the Transbay Terminal, and now, the planning department is in the process of rezoning the entire neighborhood, increasing height limits and rezoning for mixed-use and residential properties. In other words, we’re just at the tip of the iceberg of the SoMa development rush. By the end of the decade, the neighborhood will look significantly different. It will be much denser, home to a growing number of tech companies, and the volume of housing is set to grow at a maddening pace. Looking at redevelopment projects in the South of Market, you have to start with the Transbay Terminal. It may just be a massive hole in the center of the neighborhood now, but when it’s finished, it will be a new neighborhood within the neighborhood. The Transbay Transit Center is at the center of the project. Dubbed the “Grand Central of the West, the Transit Center will be a hub for buses, trains and other transportation in and out of San Francisco, and construction is expected to be finished in 2016. 299 Fremont: A 409-unit apartment building located a stone’s throw from the Transit Center is currently in construction. The project will likely wrap in early 2016. 181 Fremont: The 54-story building at 181 Fremont will feature a mix of residential, office and retail space. Transbay Bloc 9: This 400-foot tower will house more than 500 residential units, and it’s currently staged for construction later this year. 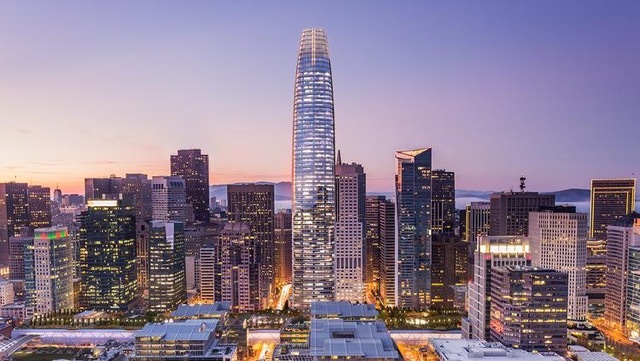 Salesforce Tower (Transbay Tower): This is slated to be the tallest building in San Francisco, and possibly west of the Mississippi River. The 61-story building will house offices over ground-floor retail. With more than 40 construction projects planned, under-construction or nearing completion, it’s difficult to highlight the most notable in SoMa. Yet, there are a few pockets were development is highly concentrated, especially along Mission Street and in Rincon Hill. For instance, Rincon Hill, an area of SoMa along the waterfront and just south of the Ferry Building, has attracted a swath of sparkly new upscale residential buildings. Projects like Tower 2 at One Rincon Hill – where construction will wrap in late 2015 – 45 Lansing, a 330-unit luxury condo building, and the 669-unit Lumina building will all top out soon. Plus, along Mission Street, notable projects include Trinity Place, which will house 1,900 units, the 121-unit building at 1415 Mission, and the 47-story Mexican Museum Tower (by the developers of the very successful Millennium Towers). Clearly, over the next decade, SoMa will no longer be the place residents drive to get an oil change. Instead, it’s undergoing a rapid transformation, and as the city approves new height limits and zoning for the neighborhood, this building bonanza won’t slow down anywhere anytime soon. Simply put, it’s an exciting time to invest in SoMa property. Transformed by the Boom is a series looking at the impact real estate development is transforming San Francisco’s established neighborhoods.